New for 2017! This refundable tax credit is available to Québec residents who paid for recognized work on their principal residence’s residential waste water treatment systems. Note: Recognized work is work related to the construction, renovation, modification, rebuilding, relocation or enlargement of a system for the discharge, collection, and disposal of waste water, toilet effluents, or grey water, of an eligible residence. *The TP-1029.AE.A-V certifies that the goods and services used in the work on the residential waste water treatment systems meet, where required, with the standards set out in the Regulation respecting waste water disposal systems for isolated dwellings. If your contractor hasn’t provided you this certificate, you won’t be able to claim this tax credit. You can send a request to Revenu Québec to adjust your tax return for 2017 once you get the certificate from your contractor. Be sure to keep a copy of this certificate for your records in case the Revenu Québec asks to see it later. I own a condo, can I claim this tax credit? Yes. If you own a condo and you’re claiming this credit for expenses paid by the syndicate of co-owners, you can only claim the part of the expenses related to your condo unit. The syndicate of co-owners must have given you a completed copy of form TP-1029.AE.D-V that describes the work done and shows your unit’s share of expenses. Refer to Revenu Québec’s website for more information. 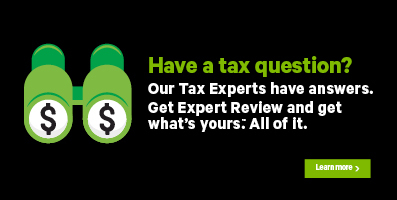 You can claim 20% of your qualified expenses over $2,500. The maximum tax credit you can claim is $5,500 per eligible dwelling. If you co-own your home (with a spouse or common-law partner or another family member), you can split the tax credit with the other co-owners, as long as it doesn’t exceed the maximum tax credit amount. Each co-owner will need to complete the TP-1029.AE-V form in their 2017 tax return. What expenses qualify for recognized upgrade work? Under the SPECIFIC CREDITS FOR YOUR PROVINCE heading, select the checkbox labelled Tax credit for the upgrading of residential waste water treatment systems (TP-1029.AE-V), then click Continue. When you arrive at the TP-1029.AE-V page, enter your information into the tax software. What year was this home built? - If your home was built over several years, enter the year the construction was completed. Remember, in order to qualify for this credit, your home’s construction must have been completed by January 1, 2017. *If you own a cottage, be sure to indicate whether it was a single dwelling or multiple dwelling. Total amount of eligible expenses (including tax) – Enter the total amount of eligible expenses you paid to upgrade the wastewater treatment system. Don’t include the cost you paid for any permits or studies done to obtain these permits. You’ll enter these costs in another section on the page. If you’re a condo owner or own and live in an immovable building with more than one dwelling, refer to Revenu Québec’s website for information on how to calculate your share of the expenses. Note: If you’re the owner of a condo, the contract must have been entered into by the building’s syndicate of co-owners. As a condo owner or the owner of an immovable building, refer to Revenu Québec’s website for information on how to calculate your share of the expenses. If you needed permits for the upgrades, what's the total amount you paid? – Include in this field the cost of obtaining the permits needed to do the renovation work and amounts paid for any studies required to obtain these permits. As a condo owner or the owner of an immovable building, refer to Revenu Québec’s website for information on how to calculate your share of the permit costs. How much government or non-government financial assistance did you receive (or expect to receive) for the upgrades? (if you received government assistance, only enter the amount over $2,500) – Enter in this field the amount over $2,500 of all government or non-government assistance, refunds, reimbursements or any other form of assistance you received or are will receive for the recognized work done. How much space does your condo occupy in the building? (enter a percentage) - You can find this percentage on line 121 of the TP-1029.AE.D-V form provided by the condo’s syndicate of co-owners.